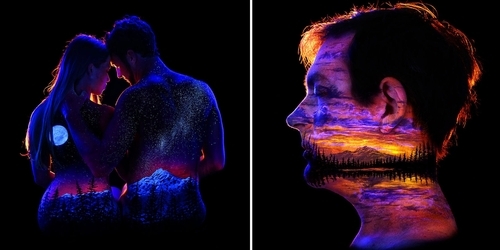 Paintings on the model or models' bodies that come alive in the dark, lit up by a black light. 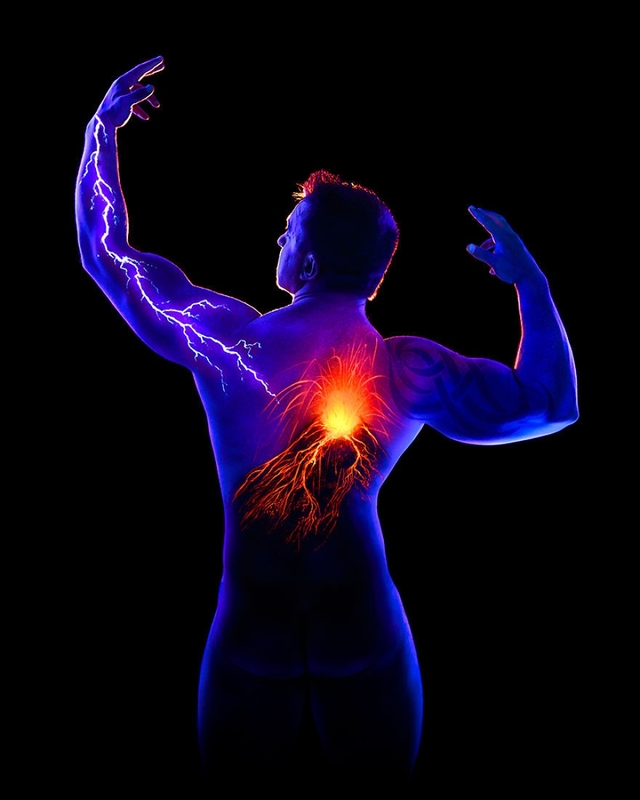 As well as dealing with traditional portraiture, John Poppleton likes to keep his artistic and creative work fresh, by brightening up the dark. 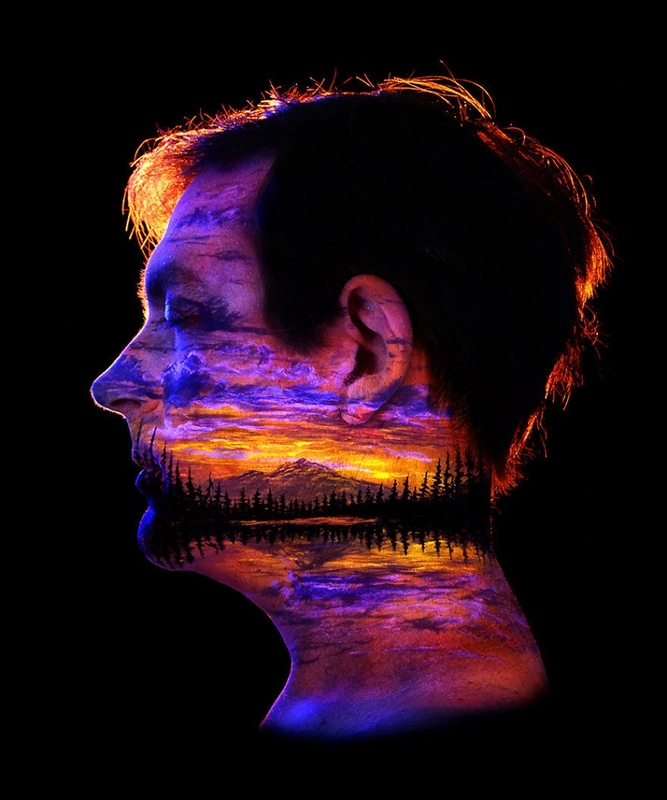 We have featured Poppleton once before here on DesignStack, I will put a link to that post below. 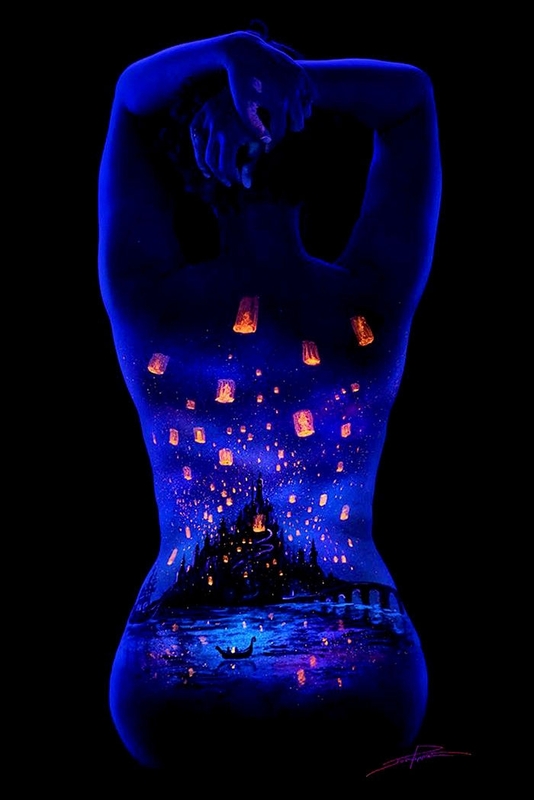 I have also included below, a video from the artist that comprises of a small narrative of the painting that is going to be executed, plus a sped up portion, of the actual painting taking shape. 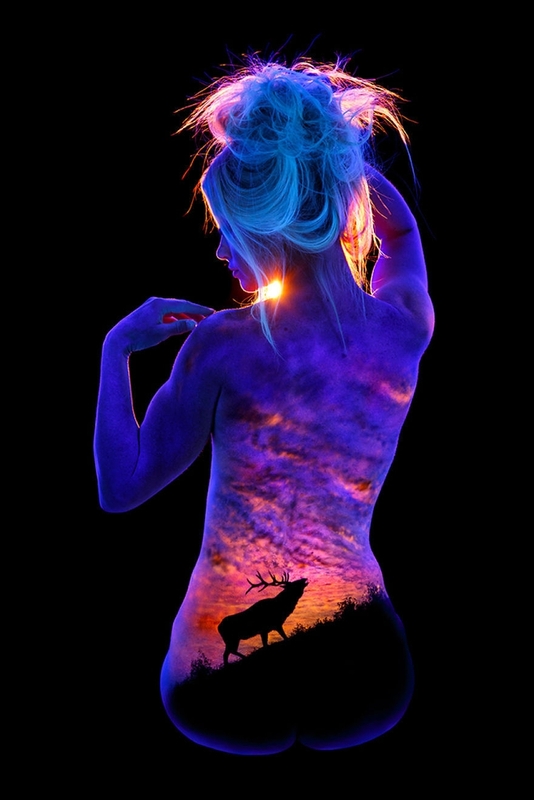 Art that brings light to the night and a different way to enjoying paintings. 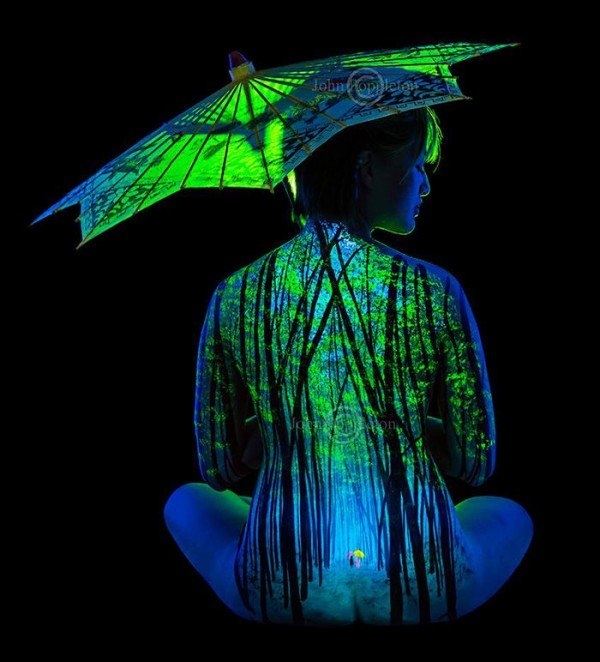 UV Body Painting - "Shelter From the Storm".